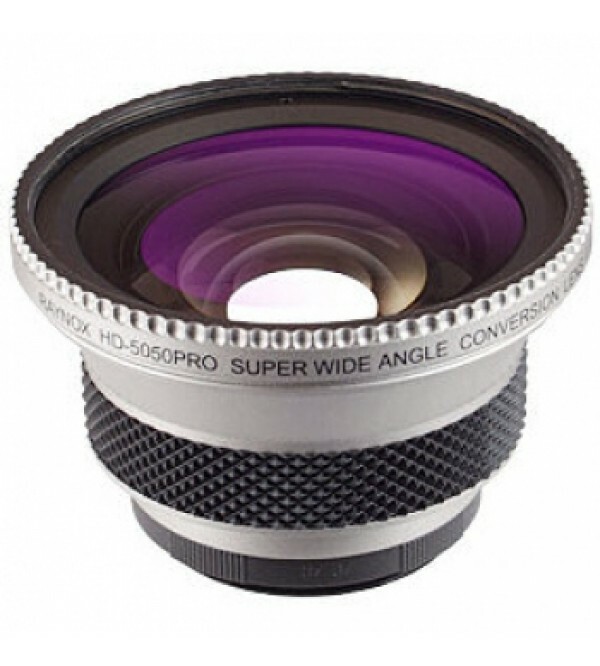 The Raynox HD-5050PRO Super Wide Angle Conversion Lens is designed to broaden the angle of view, including 100% more area in the picture, when attached to the lens of a Digital Video Camcorder. The HD-5050PRO is made of the high-index optical glass elements using a unique three-group/four-element lens formula. This concept in lens design makes it possible to achieve an amazing high definition wide-angle lens with 600 lines/mm resolution, and it maintains focus through the entire zoom range of any camcorder. To ensure broad compatibility, the lens includes 6-adapter rings for 25mm, 27mm, 30mm, 30.5mm, 37mm, and 43mm filter size Camcorders.